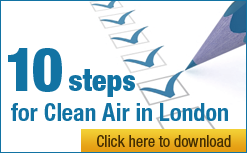 I am writing on behalf of Clean Air in London (CAL) about air pollution in the London Underground (‘tube dust’ and ‘Tube’) to urge you to do much more, much faster to: understand the health risks (adopting a precautionary approach); warn passengers and potential passengers (with immediate, preliminary warnings); and reduce people’s exposure to it. However, CAL was troubled to find subsequently that the independent advice and support mentioned in TfL’s media release was initially sought from the Committee on the Medical Effects of Air Pollution (COMEAP) on 23 May 2016, not now, in the form that CAL explicitly rejected in an unsatisfying dialogue with Transport for London (TfL) over many months. That dialogue came after many years of CAL trying to get TfL and the previous Mayor to take air pollution seriously in the Tube. CAL understands that, with limited resources, COMEAP met finally on 7 June this year and discussed a ‘literature search’ being undertaken which is being taken forward with TfL. This statement is the starkest indication yet from an eminent scientist of the likely dangers of air pollution in the Tube and the need for much more action, much sooner by you as Mayor. It compounds recent warnings and research from Professor Prashant Kumar, another eminent scientist. what does TfL mean when it says: “We have a new air quality programme to ensure particles are kept to a minimum?” By what measure(s) does TfL judge ‘minimum’ e.g. cost, convenience or the lowest level technically achievable? As CAL understands it, scientists have found no safe level for exposure to airborne particulate matter. Indeed, CAL’s understanding is that exposure to ‘dust’ can adversely affect health and it is important to keep dust concentrations as low as possible. Further, TfL’s previous protestations that tube dust is fundamentally different to (all) other forms of particulate matter because it is ‘heavier’ are nothing short of laughable. If anything, Professor Holgate’s statement today suggests we might be more concerned not less relative to other forms of particulate matter. In CAL’s opinion, it is also wrong for TfL to say or imply, as it has in the past, that such pollution is ‘safe’ when it is around some guideline levels in some locations: it is a bit like saying it’s safe to drive at the speed limit (in some countries). What else should be done about it? Ask Professor Holgate or the British Lung Foundation for advice, on a preliminary, urgent and precautionary basis pending the above advice from COMEAP, about public health warnings that you would initiate immediately and proactively to warn some or all passengers and potential passengers about air pollution in the London Underground. Ensuring that Crossrail’s air-conditioned trains include air filtration not just heating, cooling and ventilation. CAL understands they will have full-height platform doors. Please note that Camfil, a leader in air filter solutions, has been a sponsor of CAL’s campaign to build public understanding of indoor air quality since 2011. CAL and Simon Birkett have no financial interest or incentive to promote the use of air filters. Please ensure TfL’s Board and Safety, Sustainability and HR Panel are involved fully in addressing the above issues. CAL considers that your predecessor covered up the scale and dangers of air pollution in the London Underground and urges you therefore to go much further, much faster than you are currently proposing to address these serious problems.